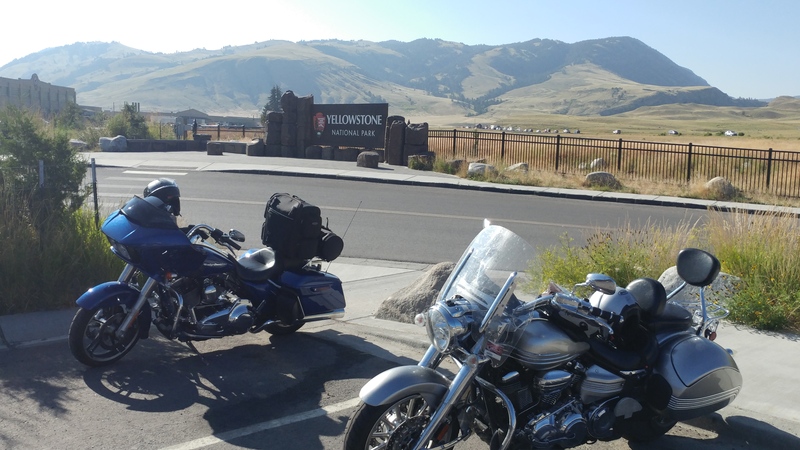 Ok; here was the BIG thing for Les on this trip…Yellowstone National Park. And why shouldn’t it be?!? It truly is a wonder of the world. The only and biggest downside to a National Park like Yellowstone during the summer is………Tourists!! but wait…I’m a tourist too. There are too many of us? Nah, we love these places. We left Bozemon Montana early in the morning and high-tailed it to Yellowstone. But…we had a bit what you might call inconviences?? 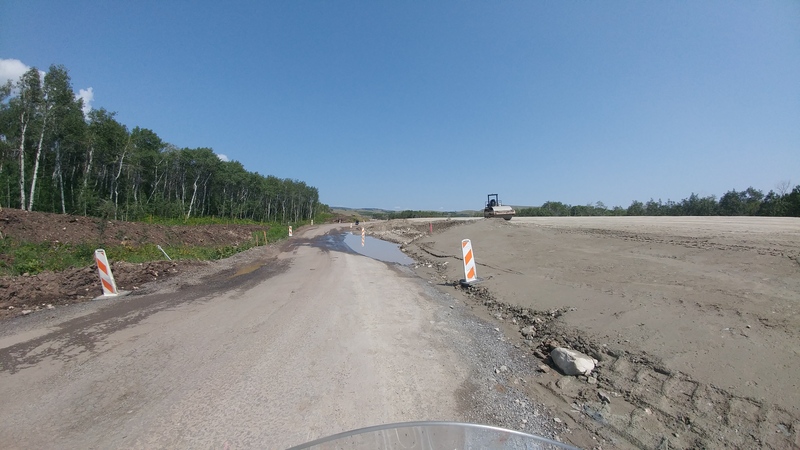 like 20 miles of road construction to deal with. Oh well…you make the best of it. Making the best of 20 miles of bad tarmac, dirt, gravel and sand on a 800+ pound motorcycle, I need a break!!! I rode about 100 yards behind Les because of all the debris getting tossed up! Once into Yellowstone we took the road out to the Artist’s Paint Pots pools. A really neat hike to see some very cool (?) 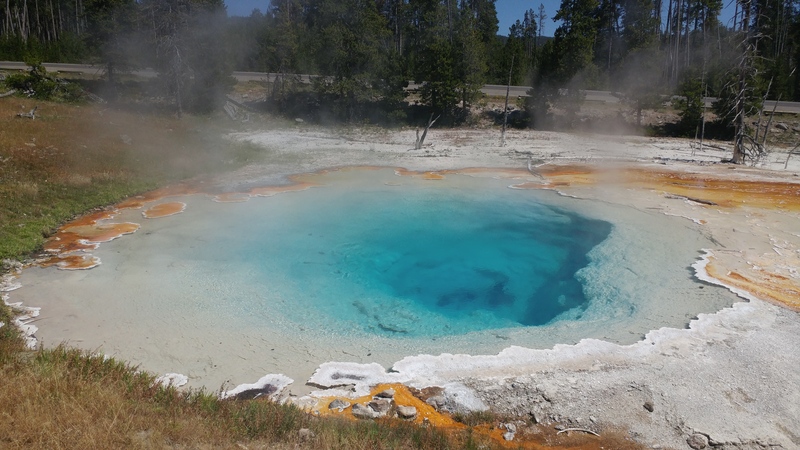 bubbling thermal pools. Next stop ‘Old Faithful’. First stop the General Store for much needed refreshment…water and Gatorade. Les loves Gatorade. Our timing was as perfect as could be. 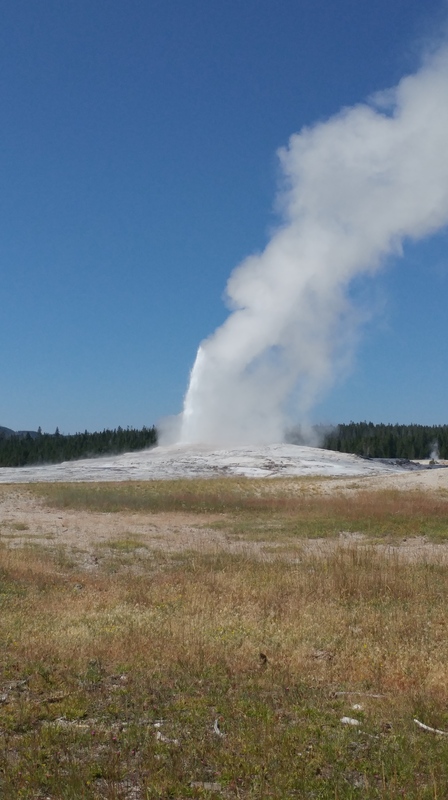 The park knows almost to the minute when Old Faithful is going to show off and we got there fifteen minutes before showtime. We got got front row seats (sitting on the barrier wall) and it was a great as you would expect…the oooh’s and wow’s from the crowd almost drowned out the geyser itself. well worth it. Then came leaving the area…not as much fun. Traffic getting out of the Old Faithful area is worse than driving the 405 freeway in Southern California during rush hour (which is 24 hours). 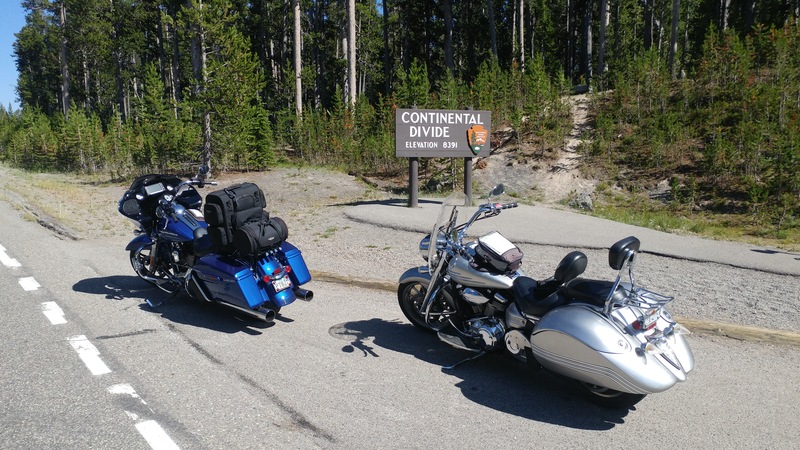 We did pull up alongside another couple of bikes and one of them told us of getting stuck in a bear crossing for almost an hour earlier that morning. When I said that must have been really cool he said “Yeah, tell that to my clutch”. Next stop Pinedale Wyoming, but first we had to go through Jackson. My goodness what a crowded town that was. We had first thought about staying there overnight but the cheapest hotel was $300 !!?? on we go. I have skied Jackson Hole a number of times but I have never seen the town this crowded. 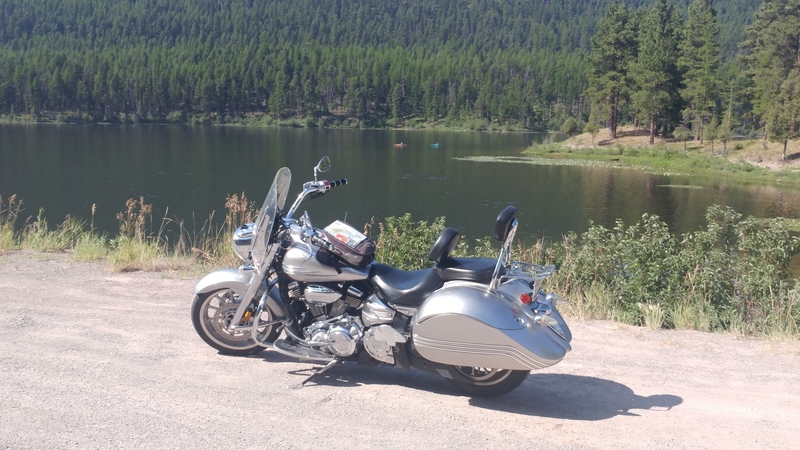 Pinedale was a great stop.